Located near Thurles in County Tipperary, just 15km from the Rock of Cashel, Holycross Abbey,a restored Cisterian monastery dating from the 13th century, built on the banks of the Suir river. Taking its name from The True Cross or Holy Rood, a relic brought to Ireland, the Abbey became a place of great medieval pilgrimage. The Abbey fell into ruin in the 17th century and was no longer used as a place of worship. During the 1960’s and 70’s the Abbey was designated as a national monument and was lovingly restored. An authenticated relic of the Holy Cross as well as other emblems were returned to the Abbey at this time. Holycross Abbey is a symbol of the Christian faith and tells a story of the turbulent history of Ireland through the ages which is reflected in the history of the splendid Abbey. 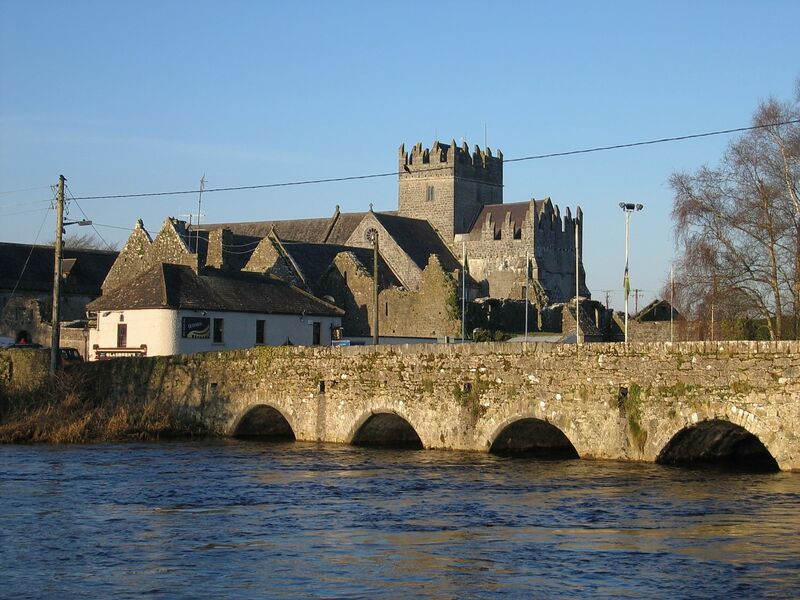 Visitors and tours to the Abbey and the village can avail of guided tours.